“The single most powerful element of youth is our inability to know what’s impossible.” So said American social entrepreneur Adam Braun, capturing the attitude of the young people Hand in Hand meets every day across Sub-Saharan Africa and Asia, ready to defy the old rules of the game and create opportunities before our eyes. All they need is just a bit of guidance from organisations like Hand in Hand, a global NGO focused on business and skills training with millions of members worldwide. In Kenya, unemployment is endemic. According to the UN, despite hosting the region’s largest economy, 39.1% of Kenya’s working-age population is unemployed. 1 in 6 of Kenya’s youth is unemployed, compared to 3% across the border in Rwanda. These figures are attributed to the glacial growth of formal sector jobs for Kenya’s soaring population: in sub-Saharan Africa just 10% of jobs are now in the formal sector. 80% of unemployed Kenyans are under 34, totalling almost 2 million young Kenyans without clear livelihoods options. Halima (pictured) is an eighteen-year-old with a seven-month-old son in Kwangare, a Nairobi slum area where most people live on less than $1 a day. Safe drinking water is scarce and expensive, meaning diseases like malaria are rife. 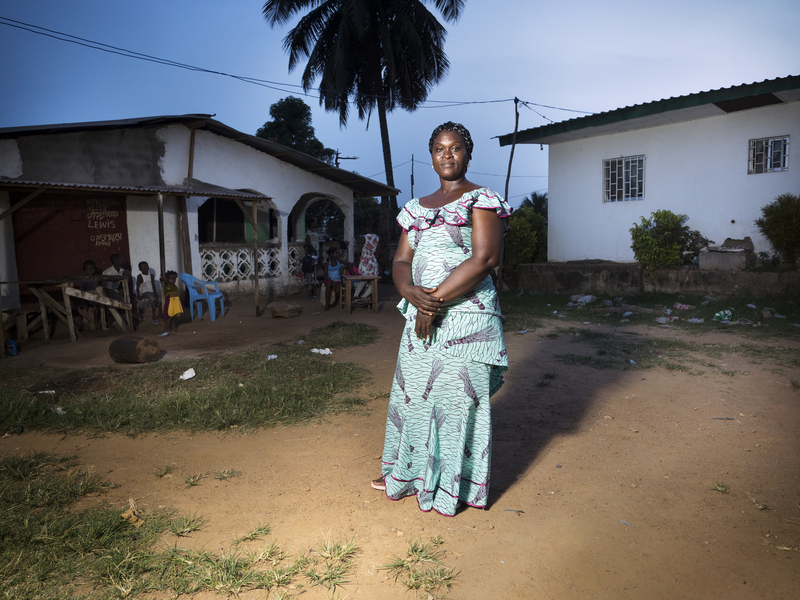 As a young unmarried mother, Halima is particularly vulnerable to social stigma and had to drop out of school. Her main options for the future are to get married off to an older man or piece together odd jobs which makes planning or saving for the future tricky. In Afghanistan, poverty continues to rise, also fuelled by widespread unemployment particularly affecting women and young people. According to a joint World Bank and Afghan Government report, almost half of unemployed Afghans are under 25, disproportionately women. Afghanistan has South Asia’s fastest growing population and biggest youth bulge, meaning around 400,000 new jobs need to be created every year. With fewer than 1 in 5 Afghan women working, the picture is not promising for a young Afghan woman looking to make a living. Young women like Frozan and Halima are the kinds of people served by Hand in Hand, which champions entrepreneurship as the route out of cycles of poverty. The model, applied with regional adaptations, facilitates members to unlock entrepreneurial creativity, and learn business skills to lift themselves and their families out of need. 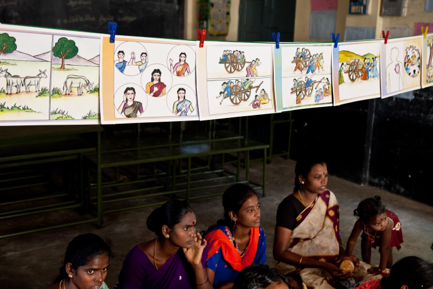 Self-Help Groups – provide a support platform to connect members, build confidence and begin group savings and leadership training. Skills and Capacity Building – involves training in business development and financial literacy skills such as bookkeeping. Members launch or enhance micro-enterprises in areas like farming, textiles, soap-making and hairdressing. Enterprise Start-Up Capital Provision – in some countries, members are awarded micro-loans based on business plans, co-signed by their group, and linkage to reliable micro-credit providers. Elsewhere, members receive kits comprising some of the productive assets necessary to their enterprise. Market Linkages – assist members with optimising and growing their enterprises through co-operatives, markets and value chains. Through these 4 steps, Hand in Hand has helped 2.19 million youth run 2.2 million businesses, creating nearly 3.2 million jobs and transforming over 12 million lives. In Kenya, alongside the main programme, Hand in Hand runs Entrepreneurship Clubs which encourage school children to nurture their aptitude for enterprise and think beyond the formal sector for their futures. These after-school clubs focus on enterprise skills, leadership and the environment, preparing young people to thrive and become pioneers of climate change adaptation. 11,800 students across Kenya are enrolled in the clubs and each member is eligible for the annual Hand in Hand Youth Awards. This project aligns with the Government of Kenya’s ambition to put entrepreneurship training on the school national curriculum. Integrated with the Entrepreneurship Clubs is the Peace and Prosperity initiative. This has the dual role of encouraging entrepreneurship, through the Entrepreneurship Clubs, and mentoring young people away from destructive life paths. Through collaboration with schools, colleges, churches, mosques and other formal and informal groupings of youth, the project empowers young Kenyans to contribute to peace and stability while at the same time building flourishing economies. 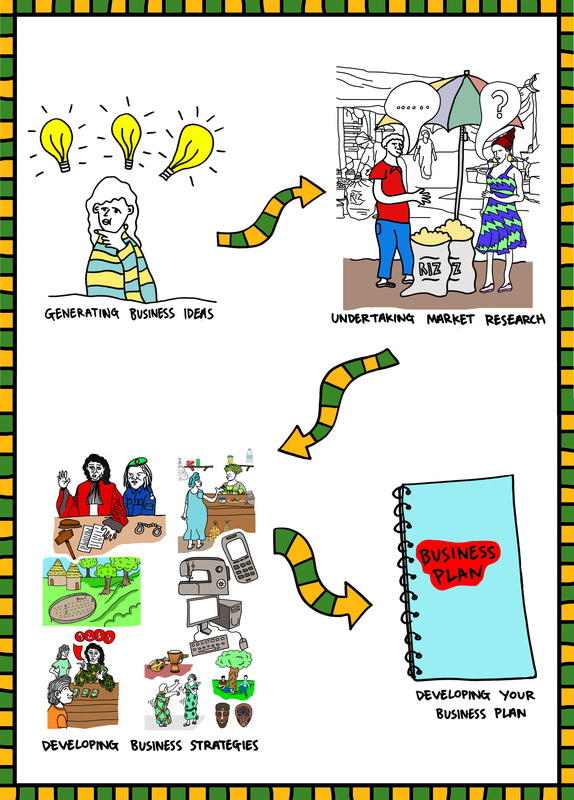 92% of participants aged over 18 confirm that they are now motivated to start their own enterprises. Youth employment was also at the heart of our Young Mothers Project in Kenya. This project mobilised women under the age of 30 who had children and lacked the skills or training to support their young families. The programme combined Hand in Hand’s job creation model with psycho-social support through a partnership with the Swedish NGO Clowns Without Borders. The project helped young mothers like Halima to create 3,700 sustainable enterprises, producing 4,700 jobs. Halima was introduced to Hand in Hand by her friend Irene, who had been orphaned at 14. At 19, Irene secured a job in a local film rental shop, and she gradually acquired full responsibility for the shop. Running her own business without much knowledge of accounts or financial management, Irene joined a Hand in Hand Self-Help Group in Kawangare, and then persuaded Halima to come too: “In the group we learn that we have to help each other, so that is why I involved Halima in the business: she was just sitting at home, not making any money”. Halima and Irene’s potential is now being channelled into their shared business. Through the training they realised that they could diversify their services to boost revenue, and so they took an internal loan from the group to buy a popcorn machine to go with the film rental, as well as a printer-photocopier for offer business services. Their profits reached $120 a month, but 90% of this income was eaten by rent. 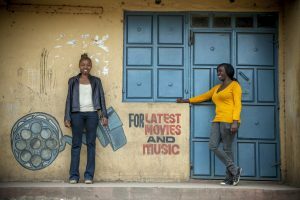 The enterprising friends recruited Halima’s sister Farida, and their collective savings went to building new premises to house the film rental shop and Farida’s beauty salon, slashing rents to a fifth of what they had been. Irene and Halima’s joint monthly profit has climbed to $200. Halima’s son’s now also has a brighter and more secure future. 9,000 miles away in Balkh, Frozan also signed up to a local Hand in Hand Self-Help Group to learn about business and try to find a way to support her family. The group introduced her to other women to share and learn from each other’s experiences. Frozan realised there was strong local demand for honey. The idea of beekeeping appealed to her and three years later she has 20 modern beehives and is one of her district’s major honey producers. She is making almost $2,000 a year. This covers school expenses for her two younger sisters as well as helping her father with home costs. She is proud to be developing her community’s economy, motivating other girls and women in the village to start businesses. For herself, Frozan plans to continue her education alongside business expansion. “My father is so proud that he tells other people about my success. That makes me proud, too” she says. The informal economy offers promise to young people facing hostile economic environments where job markets drying up and there are few options. It is the remedy for the chronic and growing issue of youth unemployment, as it prepares young people for the less formal livelihoods of tomorrow. Moreover, by targeting women, Hand in Hand facilitates women’s economic empowerment for sustainable change from the grassroots. The scale of the problem is massive. But the solutions lie in the minds of the millions of young people around the world, who only need training to turn their sparks of ideas into the next big thing, creating new sustainable jobs with every enterprise. Hand in Hand fights poverty with business and skills training, empowering young people to work their own way out of poverty – for good, and without continued intervention. No shortage of obstacles face these young entrepreneurs, but for a certain subset – rural girls and women in particular – illiteracy and innumeracy are among the most pernicious. How best to explain sophisticated concepts such as profit and loss, economies of scale and the value of a solid business plan to young women who can’t read or write? Hand in Hand uses parables, stories, illustrations and songs. In 10 developing countries from Afghanistan to Zimbabwe, Hand in Hand has helped almost 2 million people start their own small businesses, creating more than 2.8 million jobs. Hundreds of thousands of those jobs have been created and filled by young people. The specifics of Hand in Hand’s model vary according to local context and member demographics. By and large, however, they follow the same wide-ranging and integrated systems approach. First, Hand in Hand creates Self-Help Groups made up of 20 or so young people who support each other, save together and learn together. Once a group is stable, with its savings fund firmly in place, Hand in Hand trains members to discover and develop small businesses with modules in basic bookkeeping, business development, marketing and more. Group savings funds help finance most new businesses, but when members need more than they can borrow internally, Hand in Hand provides credit management training and access to microfinance. 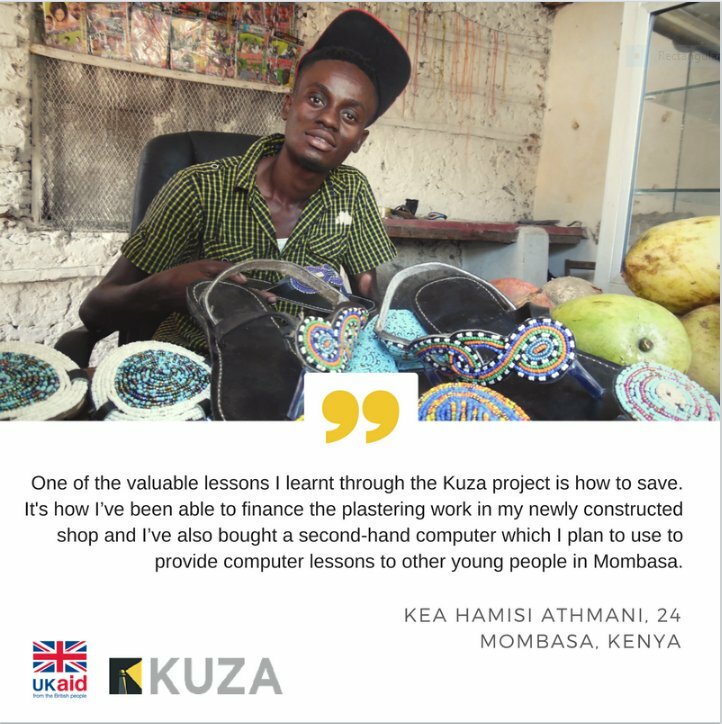 As a final step, Hand in Hand helps established young entrepreneurs thrive by plugging them into value chains and helping them find larger markets. Entrepreneurship training breaks the cycle of dependency, enabling young people to fend for themselves and contribute to public finances. With their increased incomes, they are able to pay for better nutrition, sanitation, education and more at home. Emmy Kibogong’s career was over before it had a chance to begin. Forced out of secondary school because her parents couldn’t afford the fees, the native of Nakuru, Kenya found herself bouncing from one casual job to the next. Things started to improve after she joined Hand in Hand, an NGO that taught her savings and entrepreneurship skills, then helped her launch her own microbusiness by providing a low-cost, flexible loan. 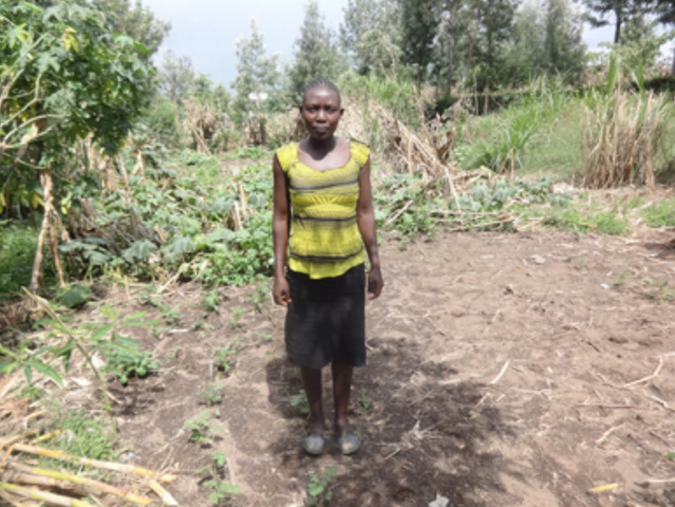 With a little help from Hand in Hand, Emmy has almost doubled her income, moving from KES 2,500 (US $25) to KES 4,000 (US$40) a month. But she has no plans to stop there. “I have fully settled the loan and I have recently applied for a second loan of KES 20,000 (US $200) to help me expand even further,” she says. 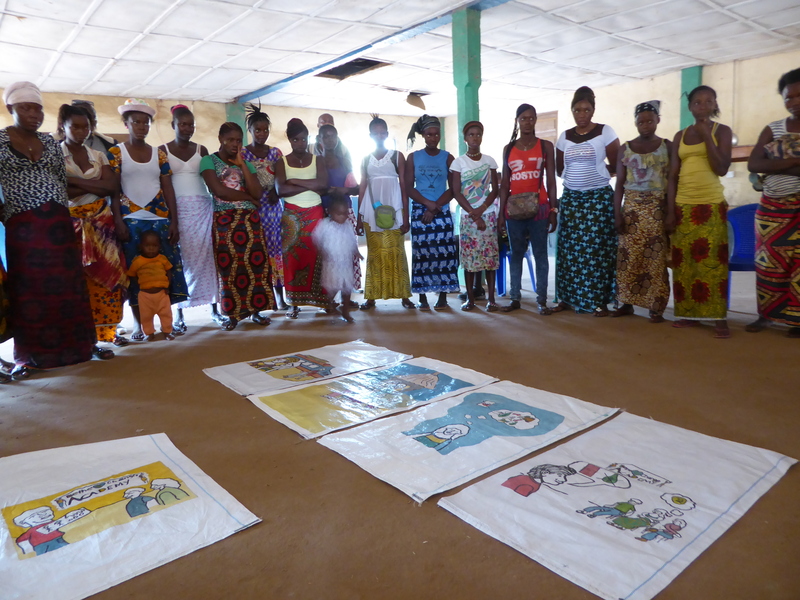 Peace Child International (PCI)’s Be the Change Academy (BTCA) provides free business development support to vulnerable young women in LEDCs – young women who have never been to school, who are illiterate with no obvious skills to secure employment. Currently, it is being run in different contexts across West Africa. In Guinea, it targets young women in the capital Conakry who are working as wandering sellers, often borrowing stock to sell on credit and barely turning a profit. In Sierra Leone, it works in a rural area with illiterate women from poor families who have some assets, such as cows and land. The BTCA programme is a step-by-step approach that aims to support young women to undertake market research, develop business ideas, choose one they are confident they can run profitably, and then develop a viable business plan. Because PCI’s target-beneficiaries are largely illiterate, the BTCAs use an integrated packet of image-based training tools and games to train and support them. At the same time, coaching aims to support them to decide for themselves what they want to do. Trainees are taught strategies to tackle the market/economic, political/legal, environmental, technological, managerial and social/cultural aspects that every business faces. 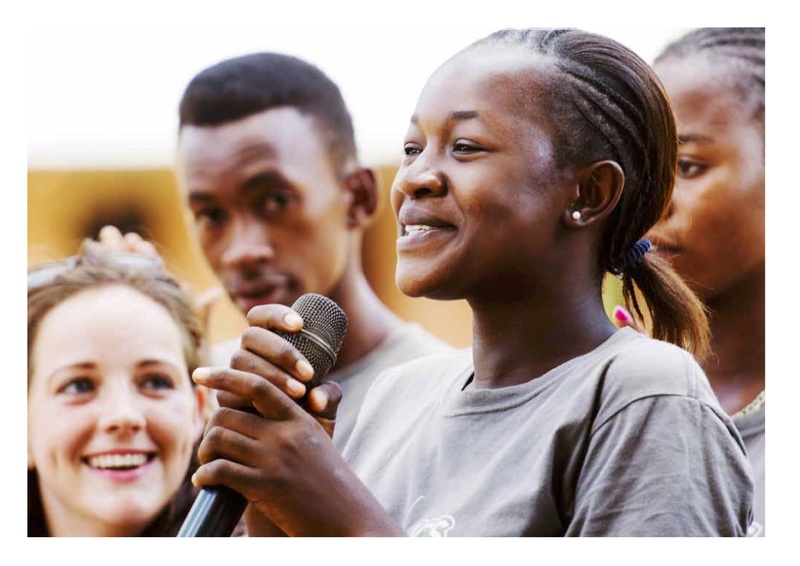 The BTCAs support young people to analyse different locally available options for funding their business, be they local micro-finance institutions, local saving groups, their own savings or borrowing from family. “I quickly used the skills I gained from the Raleigh training course by creating my own business plan for selling milk. I was successfully selected to receive start-up capital and I raised extra funds from my family which enabled me to buy a cow. Six weeks later, the cow gave birth and I started to earn money. The cow gives me six litres of milk per day, which I sell for TZS 1,000 per litre. I spend half of this TZS 6000 on the household and save the other half.